It’s been a while since I tried a fragrance with oud in it. And just about as long since I tried a rose centered scent. So I picked Rose Oud pretty much out of the blue and was pleasantly surprised. In Bottle: Smells very familiar to me. It’s clean, fresh and simple and plucks at some memory that starts forming the longer I wear it. Applied: Rose Oud is decidedly less rosey and oudy than I thought it would be. The rose is there. I’m not sure I can say the same for the oud, but the rest of the fragrance carries it forward. The instant I put it on, I’m reminded of something, but it settles on the tip of my brain and doesn’t let me progress much further until I let the fragrance settle down a bit more. As Rose Oud continues its progression, the rose makes its way to the forefront, dominating the scent and leading a pack of fresh florals, most notably the lily of the valley that gives the fragrance it’s soft feel. I’m waiting for the oud and find myself waiting a while as it never really makes itself known. Rose Oud smells more of roses from afar and more of roses and florals up close. For those worried about the castoreum, don’t be. I never got much in the way of it as the fragrance remained largely clean, fresh and floral. I quite like Rose Oud. 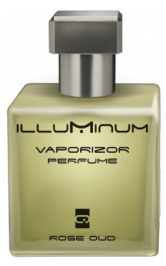 It might actually be my top pick of the Illuminums so far and it’s mainly because of the memories it teases up for me. Extra: Castoreum is, ready for this? The secretions from the scent glands of beavers. And of course, as with all these animal sourced notes, the scent glands are located on the animal’s rear. But, don’t worry, castoreum is derived from these secretions after they’ve been put through all sorts of processes. By the time it gets to be an ingredient, you end up with a leather-like fragrance. If you enjoyed Shalimar, you’re smelling more castoreum than I did in Rose Oud. Design: Rose Oud is bottled and packaged much the same way as the other Illuminum fragrances. Held in a squat and square frosted glass bottle with a brushed metal cap. 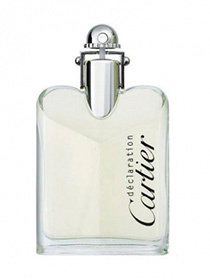 Notes: Basil, coriander, jasmine, lily of the valley, rose, geranium, oud, castoreum, patchouli. While I was disappointed when the oud didn’t show up when I was searching for it, I finally realized why Rose Oud smelled familiar to me. It takes me back to 1990. I’m a child and my aunt is hugging me one last time before my parents put me in the taxi. I won’t see her again until 1992 and it made me sad. Two years isn’t that long for an adult, but it was ages for a child. The smell of roses and soap were wafting around at the time, partially from someone’s perfume and partially from the laundry soap that permeated through our luggage. I remember more precisely how dark it was because we were up at the break of dawn. Not much of a happy memory, but still a precious one. Reviewed in This Post: Rose Oud, 2012, Eau de Parfum. L’Air du Desert Marocain has been described as a dry, beautiful oriental that’s reminiscent of a desert breeze. Come on, with a description like that, I had to give her a try. In Bottle: Dry incense with a bit of earthiness and a beautiful hint of woodsiness that comes through this beautifully blended spicy accord. Applied: Spiciness is up right away with a bit of an incense kick. This isn’t off-putting, too strong and a little bit weird incense. L’Air du Desert Marocain employs a beautiful, clear incense fragrance that’s smoky and classic. It smells like incense should. Delicate but strong at the same time. There’s a bit of floral sweetness that’s balanced out by a smoky bitterness. Sounds like a strange combination but the two, when combined, makes something very pretty. The florals in this help perfume the backdrop to the incense, as well as the woodsy notes and the spices. Everything is so well blended that it’s hard for me to pick out a specific player and I like it that way. The only thing I know is that the incense fragrance in this is awesome. Extra: Tauer is a niche luxury fragrance house headed by Andy Tauer who not only has his name on these beautiful fragrances, he also composes them. It’s always awesome to see a perfumer heading their own fragrance line. Design: Bottled in a pentagon-shaped blue glass bottle, L’Air du Desert Marocain looks very luxurious and feels equally luxurious. It has a bit of a lapis lazuli look to it as well. 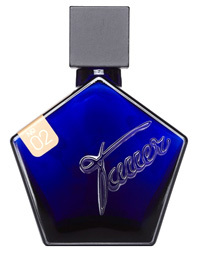 Tauer, however, uses relatively the same bottle design principles for all of their fragrances. Regardless, the bottles are functional and look great. Notes: Coriander, petitgrain, lemon, bergamot, jasmine, cistus, bourbon, geranium, cedarwood, vetiver, vanilla, patchouli, ambergris. Well, L’Air du Desert Marocain lived up to the hype. I really enjoyed this one. As for it making me picture a desert wind–well, I’m not sure about that. It’s definitely dry, it definitely smells good, and it’s definitely got this beautiful classical vibe to it. When you have a perfume that smells so awesome already, I’m not that worried about it living up to its name. Reviewed in This Post: L’Air du Desert Marocain, 2010, Eau de Toilette. 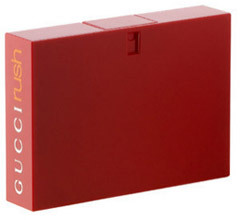 I tend to gloss over Gucci Rush every time I get near it and I can only attribute this phenomenon to one thing–that ugly packaging. I see that big, red, square thing sitting on the shelf and wonder to myself what it is I’m looking at. When I gravitate closer, I realize it’s Gucci Rush once again, blasting red into my retinas and generally turning me off. In Bottle: Smells fake and isn’t afraid to admit it. Rush smells like my childhood days spent sitting in a corner reenacting fairy tales with plastic dolls that wore cheap, fruity perfumes. Applied: I didn’t think that plastic, synthetic smell was on purpose. Evidently it was! Very brave of Gucci, but at the same time I question their sanity to be this forward about the synthetic quality of their scent. Still, I can appreciate a fragrance that doesn’t pretend to be something it’s not. It smells like plastic on application, mixed with over-the-top fruity notes. I notice the peach most of all, it’s a bit nauseating to be honest and the plastic stays on me for the rest of the fragrance’s lifetime–which is not necessarily a good thing. The scent has some florals in there to help balance it out but Rush is like a discordant piece of music written by a madman. The midstage is an equally hilarious blend of white florals that smell like they rolled around in a pan of powder. As the fragrance dries down I get a hint of spicy plastic on florals and a powdery sort of vanilla base mixed with an earthy patchouli note that’s been warmed and dried by a bit of vetiver. The vetiver gives this a bit of a golden feel at the very end of the fragrance, I rather like that last little bit. Extra: I tried looking around the internet to see what other people would lump Gucci Rush into in terms of fragrance family. I think the consensus was that this stuff was a modern chypre. I can see how it would be considered that with the use of the earthy patchouli, but if I had my way I wouldn’t so much call this a modern chypre than a synthetic chypre. That plastic note is still wigging me out months after I tried this stuff. Design: Gucci Rush turned out to be a more interesting fragrance experience than I thought it would be. The packaging makes a bit more sense to me now but that doesn’t change the fact that the packaging has been a major turn off for me for many years. I understand what Gucci may have been going for there, but when it comes down to it, Gucci Rush’s aesthetic just looks cheap, lazy, and bad. As much as I appreciate its connection to the scent itself, I can’t get over the basic hideousness of the thing. Notes: Freesia, gardenia, peach, coriander, Damask rose, jasmine, vanilla, vetiver, patchouli. I kind of like this. It’s fascinating in that macabre way. You know when you’re flipping channels when you happen upon one of those live operations where they film the gory bits of surgery for some sort of educational purpose? And you’re thinking to yourself, “Ouch. This poor person. This is terrible. I shouldn’t be watching this. I haven’t got the stomach for it”, and yet thirty minutes later you’re not only still watching it but you’re on the verge of entertained. That’s Gucci Rush. 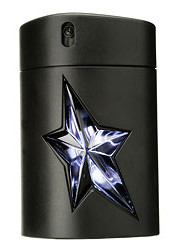 Reviewed in This Post: Rush, 2009, Eau de Toilette. Always on the look out for that next great vanilla to replace Spiritueuse Double Vanille. I don’t know why I keep wanting to upgrade. You would think once I find a fragrance that I love, I’d just stick with it? Maybe it’s the fear of SDV one day being discontinued. Or maybe it’s just the thrill of trying to find something just a little bit better. In Bottle: Spicy vanilla with a woody personality. Quite nice and quite interesting! Applied: Citrus opener with the lime and a slightly sweet cedrat note. Maybe I’m inventing the sweetness but it smells a bit like lime and lemon with a hint of sugar. The vanilla evolves with this glorious green spiciness and woodsiness in the mid-stage. The woodsiness actually adds to the fragrance in the very subtle way that it’s used. Kind of like adding personality to the vanilla rather than just mixing with it. The florals are very light with the jasmine making the most pronounced appearance giving the fragrance a feminine touch and taking away from the level of gourmand this would reach if the woods and florals hadn’t been around to soothe it a little. This smells like warm vanilla pods and being in the woods with a cup of lemonade. It’s very easy to like and easy to wear and it’s a hint more special than your standard fare sweet and synthetic vanilla scent. The vanilla is, indeed, a little bit more interesting than your usual and it’s quite nice with this smooth and spicy personality that mixes really well with the woods. Very nice, indeed. Extra: I almost forgot how nice a niche line could make a vanilla fragrance. I got a little caught up in the humdrum mainstream market for a while, smelling mostly synthetic vanillas and interpretations made for clearly younger audiences than me. It’s nice to come back to niche now and then and smell something this good. 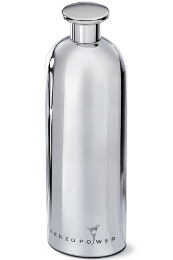 Design: The bottle’s shape itself is rather simple, a little reminiscent of more common things like shampoo. But the design on the glass is what really makes it. Lovely colors, nice typography, great use of space. I really like how it takes a simple shaped bottle and turns it into something more luxurious and artsy. Nicely done! 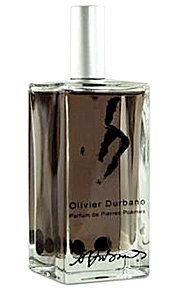 Notes: Lime, cedrat, coriander, jasmine, vetiver, oak moss, Madagascar vanilla, oak wood, amber. I’m not entirely sure what a cologne absolu is or what its equivalent on the concentrations scale is. If I had to venture a bold guess, I’d presume Eau de Toilette, as the fragrance is a bit light but then you can’t really tell with these things anyway. Bah, regardless Vanille Insensee is a pleasant, unique vanilla scent and for $170, you can get a lot of this stuff (200ml). Reviewed in This Post: Vanille Insensee, 2011, Cologne Absolu.